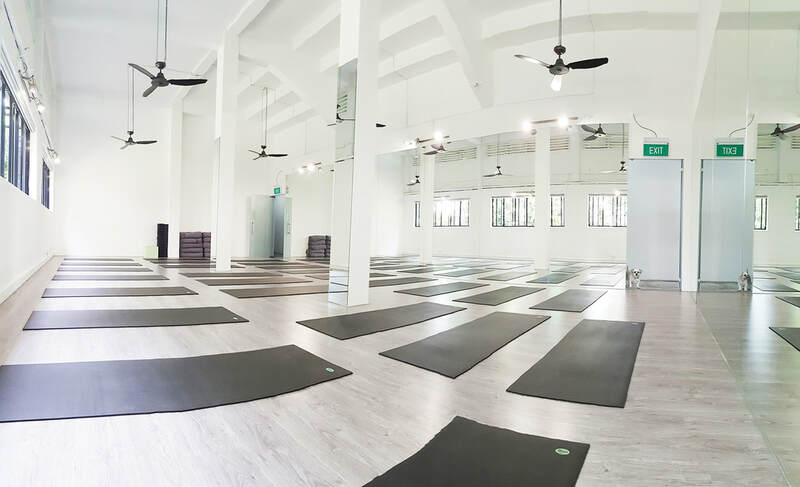 ACTIONHIRO SINGAPORE - Yoga Inc.
must be attended by the same person. all 5 workshops must be topped up to the original price. Yoga Mat will be provided and shower facilities are available. Remember what it felt like when we were beginning our yoga journey? The soreness yes, but also freedom in our bodies that we were not used to, a lightness in our step, the glow in our being. The movements, the shapes, were new to our bodies and the shapes served in increasing the range of function in our bodies. If we are honest, there are a lot of poses that are relatively comfortable for us now. So how can we increase our focus, our range of function, so that we can keep moving towards a better functioning self? This master class incorporates different mobility exercises within familiar poses. We will introduce different transitions that shift the mental focus from fitting into a shape to making the shape serve a greater functionality in our bodies. The goal is to bring us closer towards the freedom we seek within. Do you have that one pair of yoga pants that is your “handstand yoga pants?” The pants where every time you put them on, you feel stronger and more confident getting upside down? Don’t leave your practice up to chance! Ditch the pants and come to this class. Experience what it’s like to fly consistently and confidently in this challenging yet light-hearted workshop. We will break down the elements of inversions as well as explore unique exercises towards helping you access the power already inside of you. 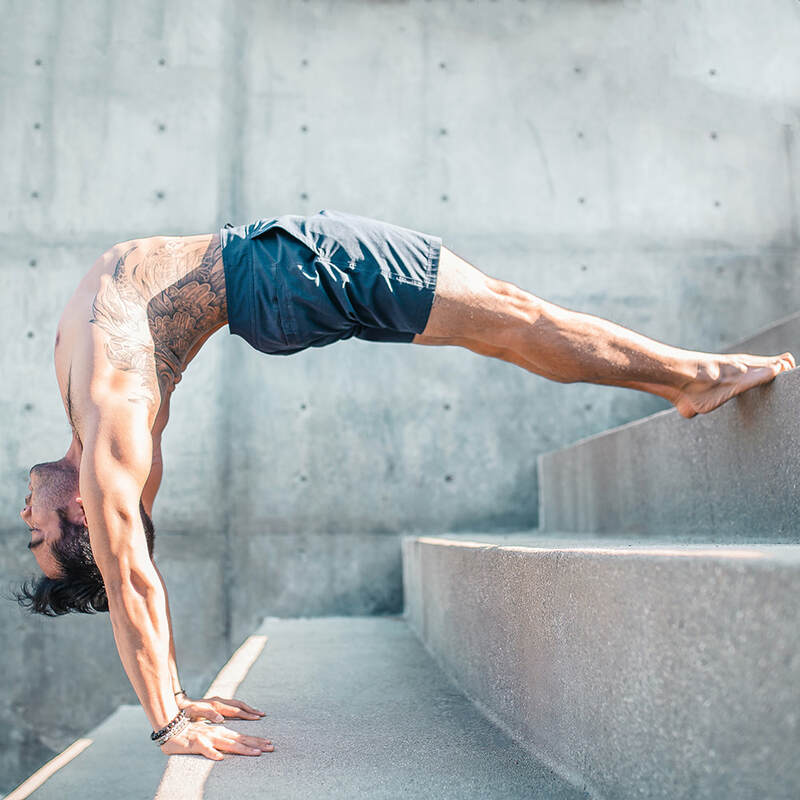 Allow yourself to encounter your practice in an elevated way and feel confident in seeing the world from a new perspective, with or without your handstand pants on! Consider the thought that if the ribs, chest and spine are all anchored together, how is the beautiful even arch in backbends achieved in the upper chest? From another perspective, when we speak to the soulful aspect of backbends, opening past our egos allows for the openness of possibility. The duality of the mind and the soul is often seen as two sides of a coin...but is it possible that the mindfulness to the technicals and the soul of the practice can come into harmony? In this workshop, we will discover the different engagements, common misalignments, and inventive techniques that draw a deeper understanding to the mechanics of backbends. By demystifying the physiology, we will open up space for the soul to find its place in harmony with mindfulness. When you envision the strongest version of yourself, what do you see? Often, we associate physical strength with aggression and in seeking strength, we draw power from aggression. It is important that on our journey of self-discovery, we find our strength and power from a place of self-love and compassion. We will cultivate the harmony of grace and power in our arm balances through deeper body awareness. Learning the tools in this workshop is a mirror for finding the strength in balance off of our mats. We all want to give and receive love, but what we really want is to be loved for who we authentically are. When our hearts are closed, we don’t express our full self and therefore, we limit what we allow into our lives: we limit our careers, our relationships, and our love that we want to spread and share. We will reconnect with ourselves and our authenticity through opening our hearts in a flow that revolves around backbends. As we open up the frontline of our body, we will embrace the power of vulnerability in our heart. As we flow through these asanas and open up, we will create a path that explores backbends in a liberating way to speak into the limitless possibilities in all areas of our lives.